With Magento 2 Merchant Beta release date getting closer, I decided to dedicate some time to explore the current Magento 2 application that is on Github. Now that I had the chance to actually work with Magento 2 I have to say that it is actually a huge step forward from Magento 1 in my opinion. In this article I will try to cover a few concepts by coding a task that probably most of you have done a few times – creating a really simple product feed. The goal is to set a cron job that will run every week and create the product feed file that has all the products that were created during the last week. 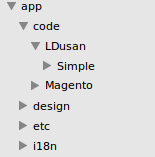 Not a huge task but I think it does a good job of some explaining some new Magento 2 concepts. Since there are no more code pools, we need to create a separate vendor for our module in the app/code folder. We can now start building the actual Cron class that we will use. Since we are using the default classes there is no need to define anything in the xml files yet. If we wanted to use some other product repository class that implements ProductRepositoryInterface we could have set that up in di.xml file. We should always tend to use interfaces for type hinting rather than concrete classes as with interfaces we can easily switch the actual implementation. By using this principle we also make the elements of our system loosely coupled which is a good programming practice. Fetching multiple products from database is slightly different in Magento 2. Entities are managed through repositories. Repositories are used for managing entity objects and all the common operations that can be done on them such as get, save, getList, delete are in these classes. These methods are defined in interfaces that repository classes implement. This practice will ensure that all the future versions are compatible with the rest of the application. As a result of this, the feed will be saved in the file that we defined in the xml file. I think this is generally a good approach and that it provides a cleaner way of extending default functionalities. If we did everything correctly we should notice the feed in our system’s temporary folder each Monday morning. Although the task is accomplished, our module is not finished yet. We need to create some tests that will make sure that everything works smoothly. We’ll leave that for the next article. 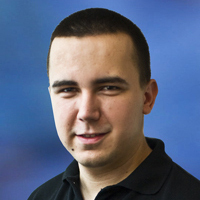 This article was posted in category Magento 2. As I see, the command for Cron has been changed since. Thanks For the good article. It works like charm!!!. if i want file feed name to dynamic, instead of static. how to achieve this? This is very cool. I was wondering if you had any examples of how do something like this for exporting daily orders into CSV? Well explained and nice tutorial buddy. Hi, I’ve installed this module successfully in Magento 2.1.2 and can’t do it works… Any csv file is being generated. What could be the problem? Thanks! Thank you for the module, very helpful.